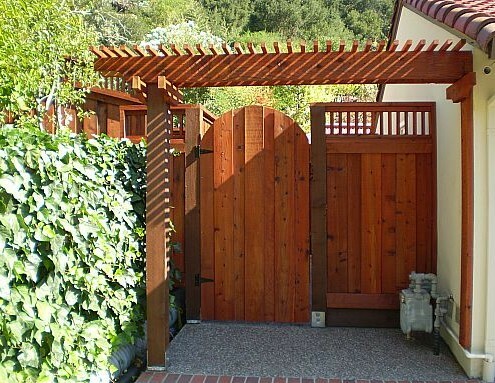 The front of a home reflects the vision and creativity of the homeowner. Let us set your house apart from everyone elses. 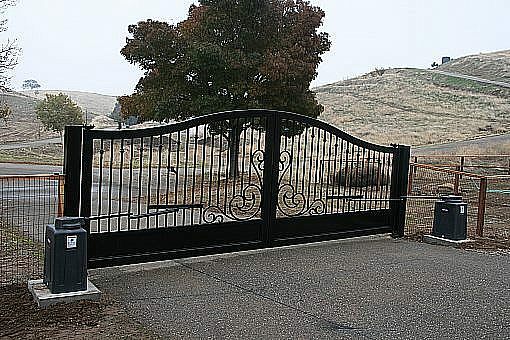 What better way to do that than with our quality custom gates? 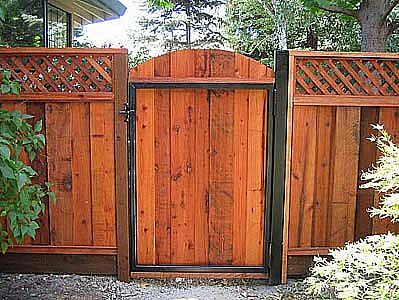 If you are looking for a simple gate, or want a more creative look, our professional sales assocates can work with you to bring your vision to life. 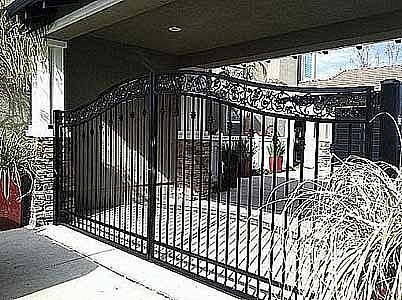 Types and styles of gates are listed below. 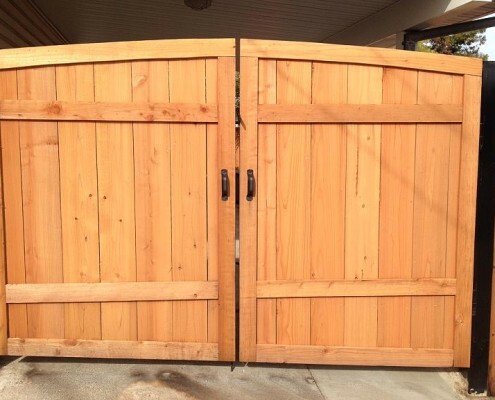 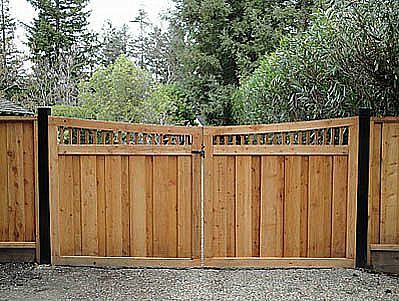 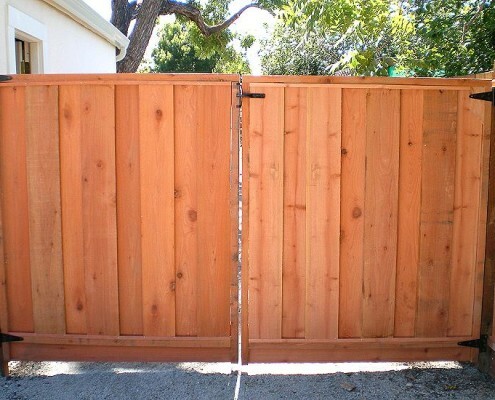 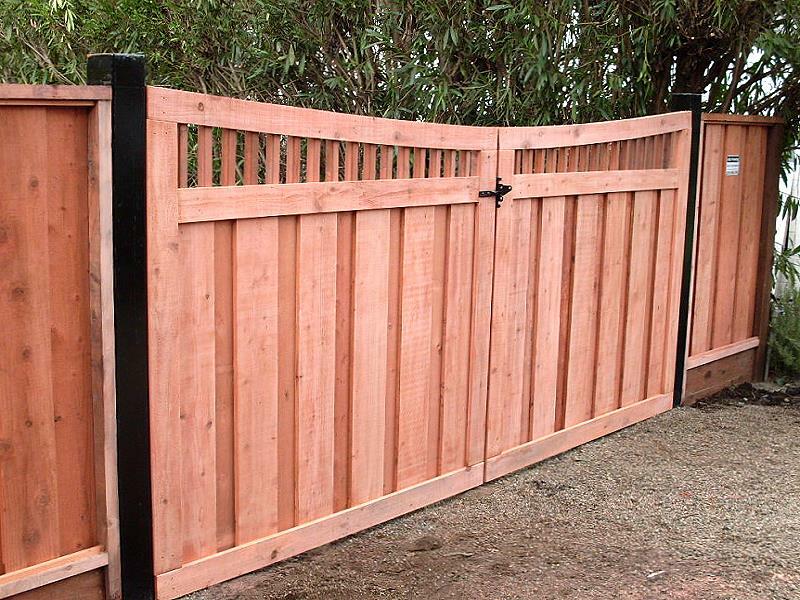 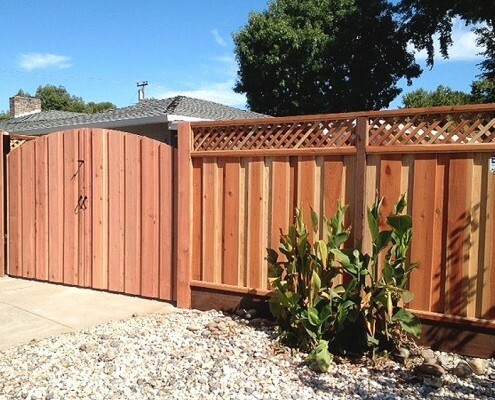 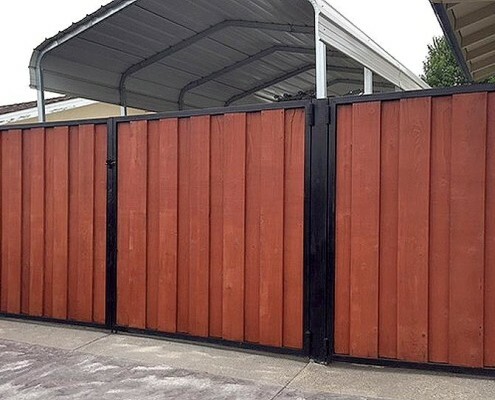 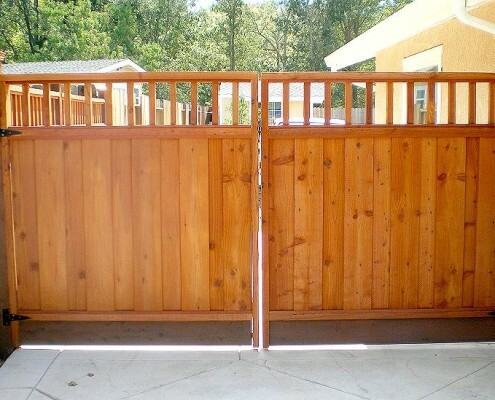 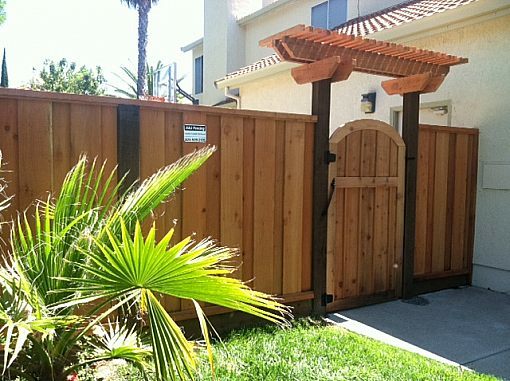 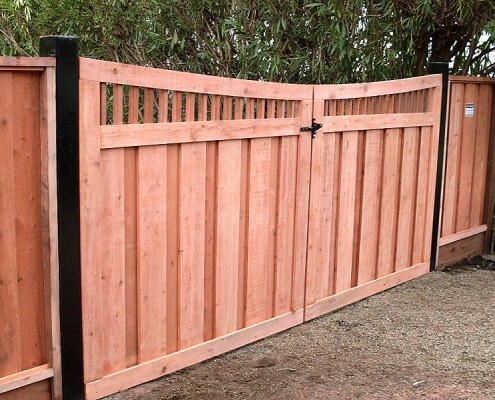 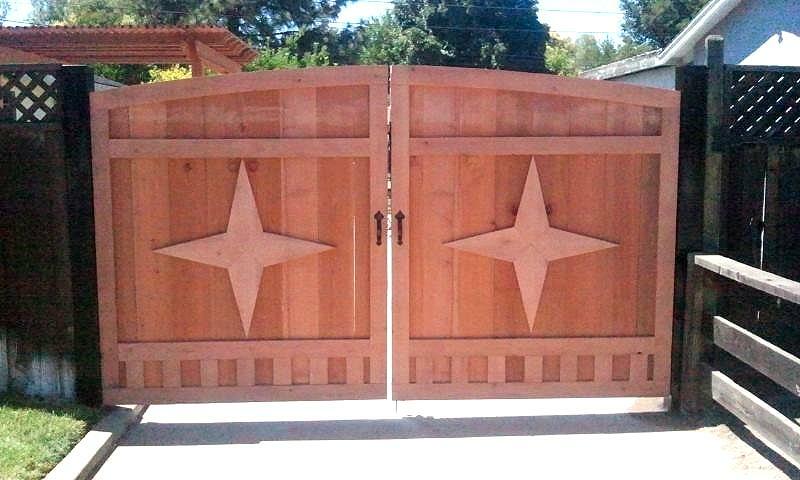 Our gates are backed by a one-year warranty on all labor and materials. 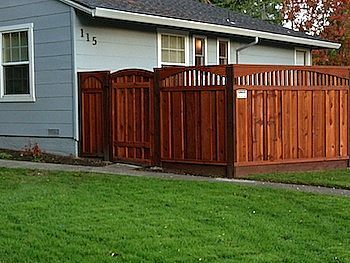 Curb appeal is very important to most homeowners. 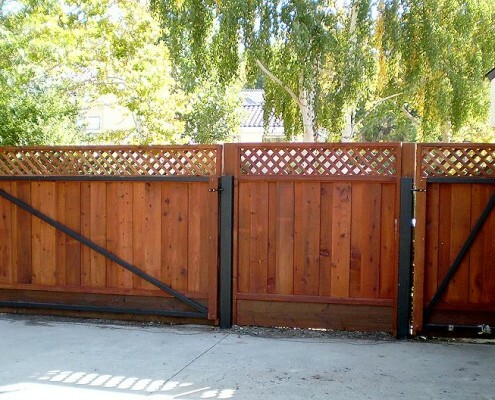 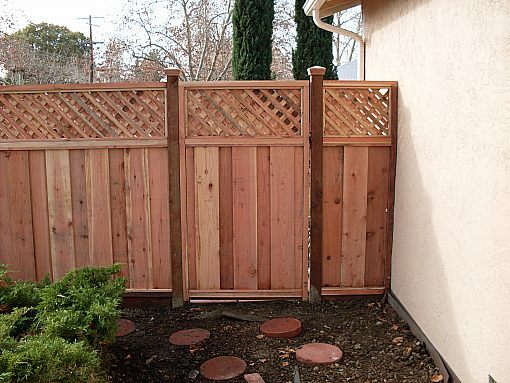 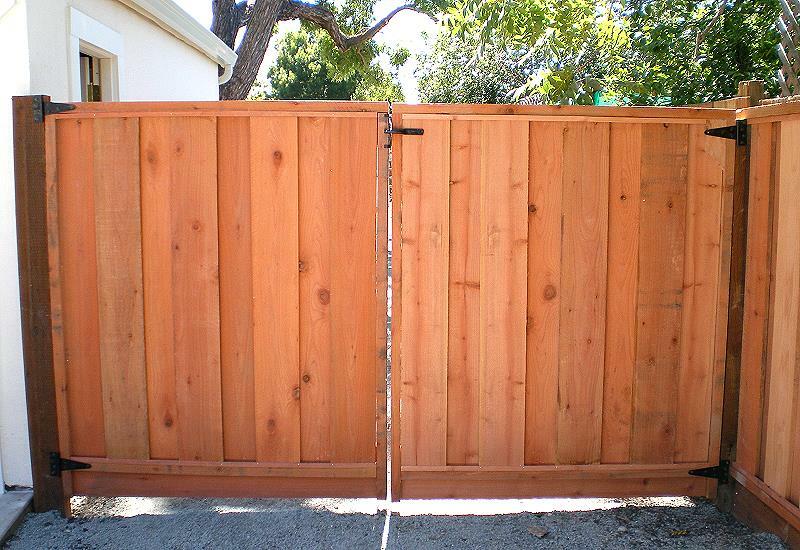 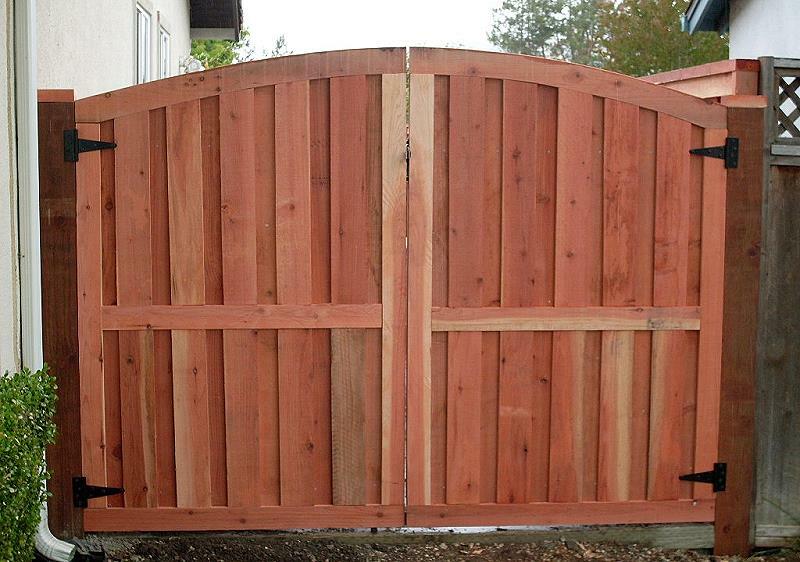 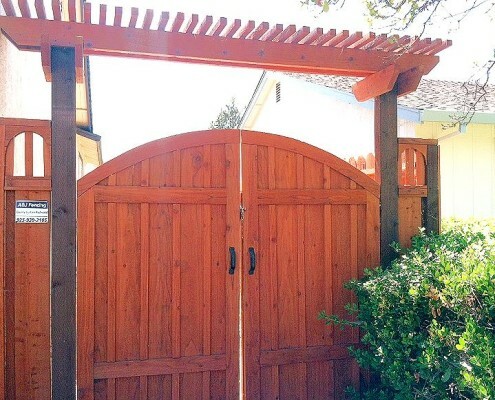 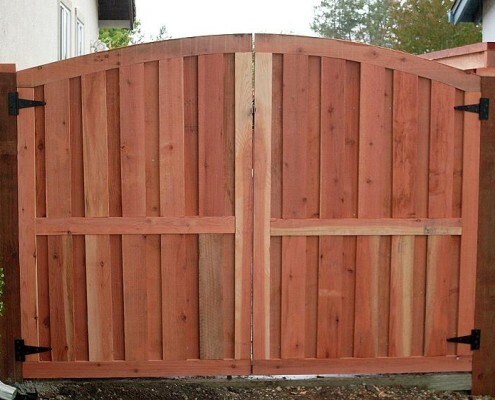 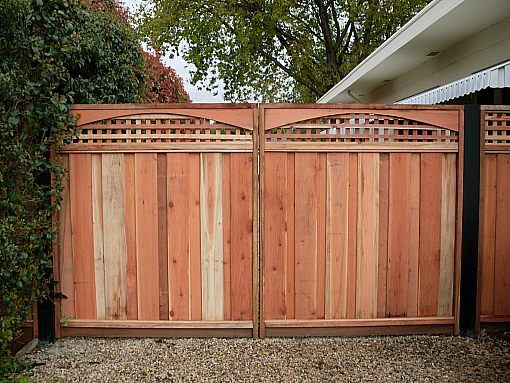 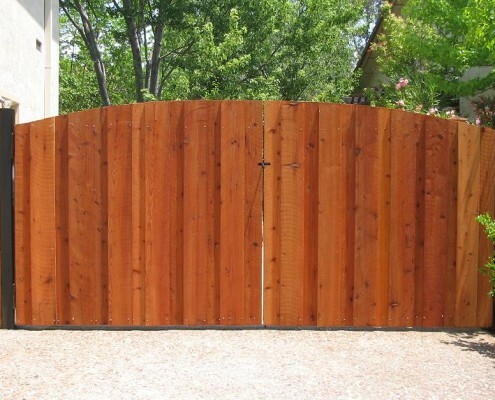 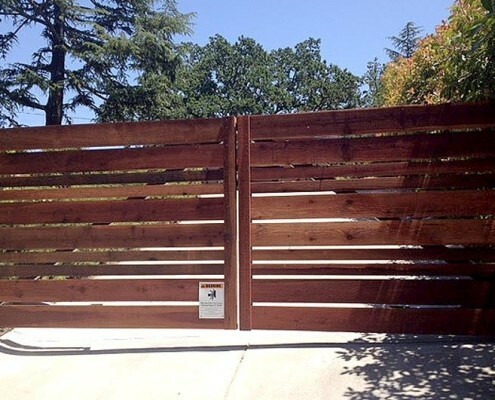 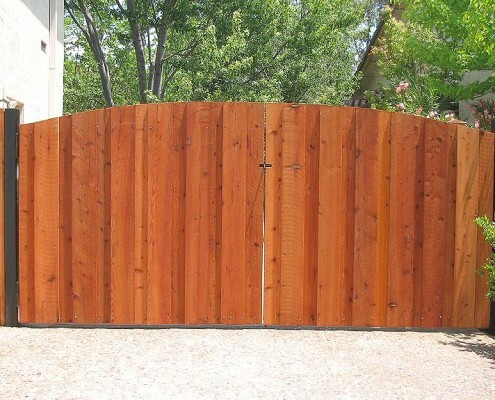 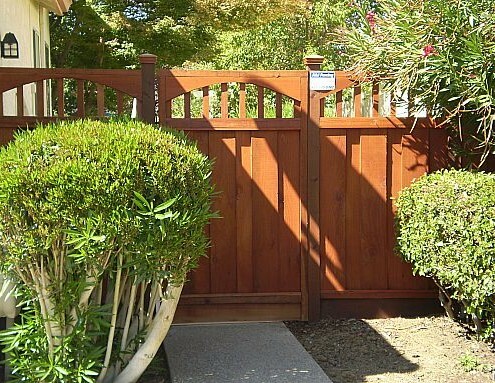 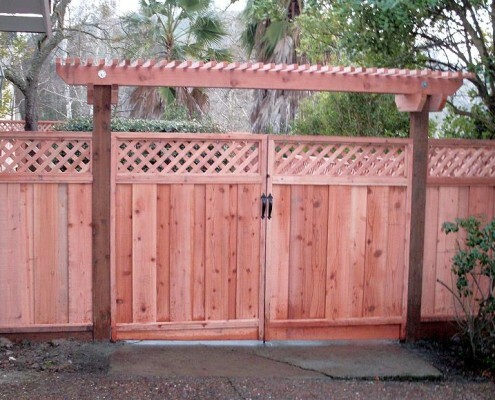 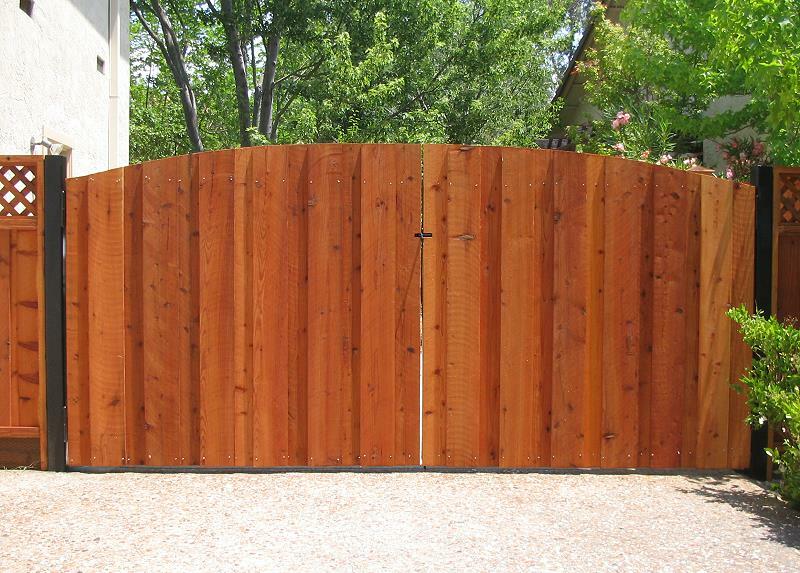 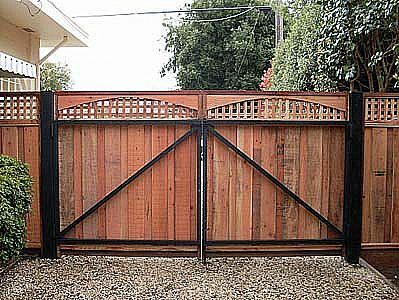 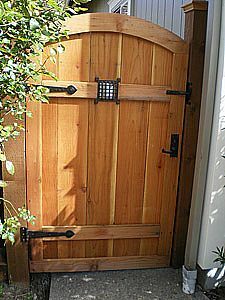 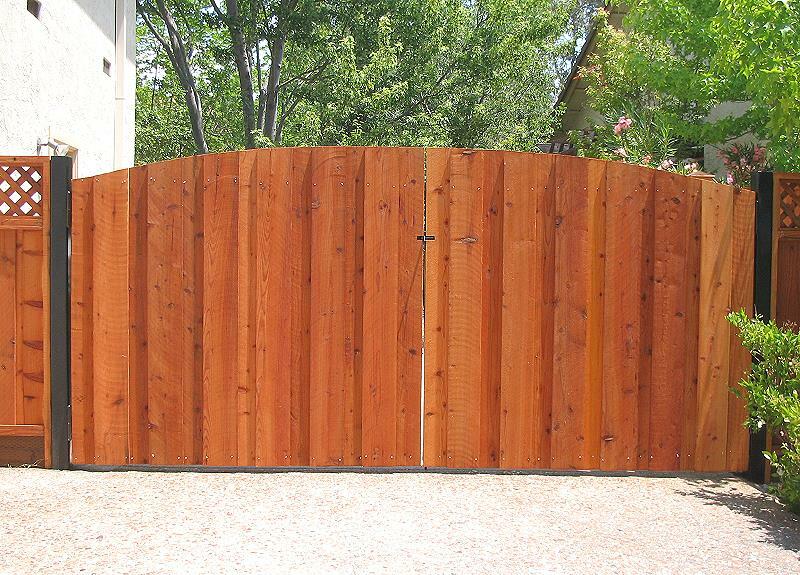 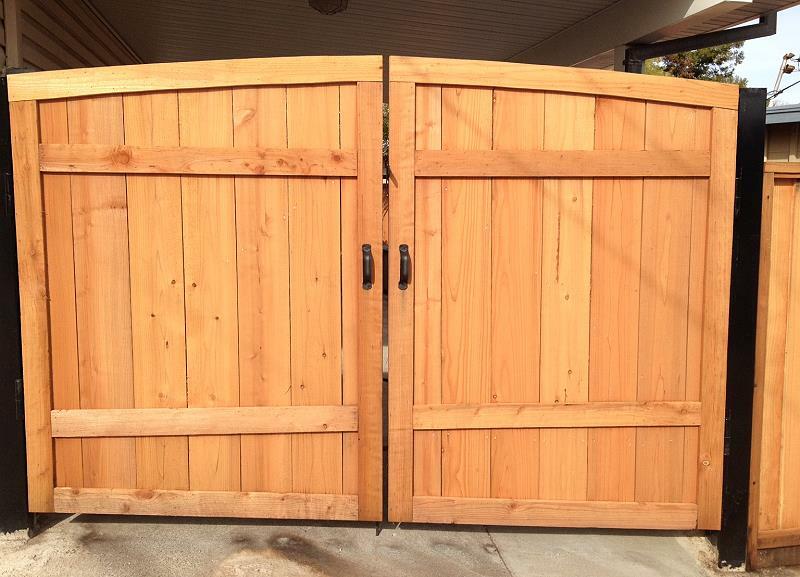 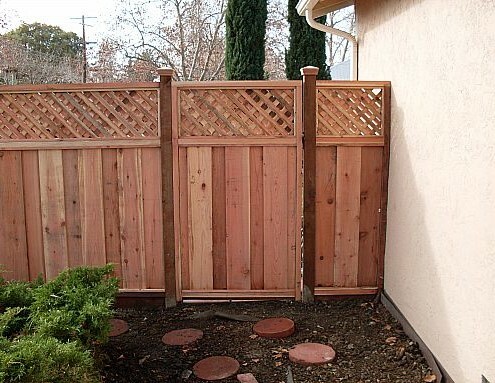 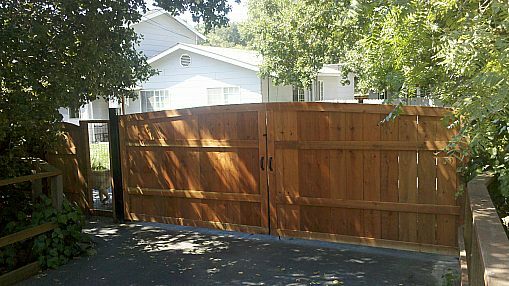 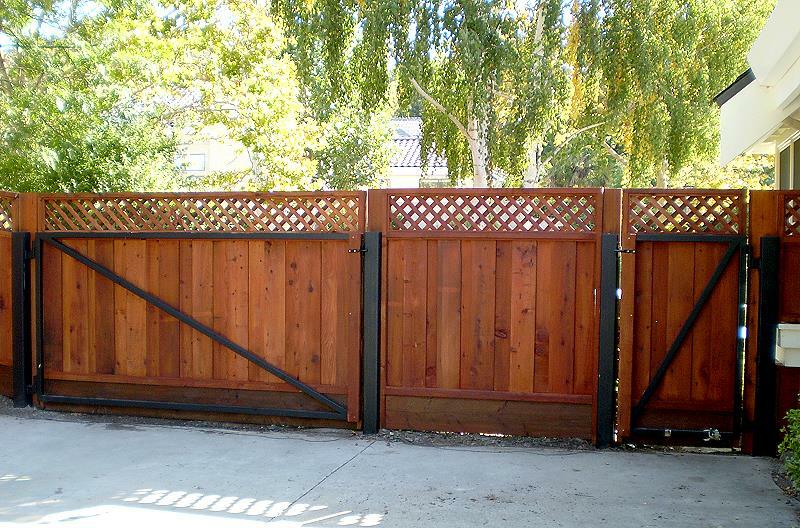 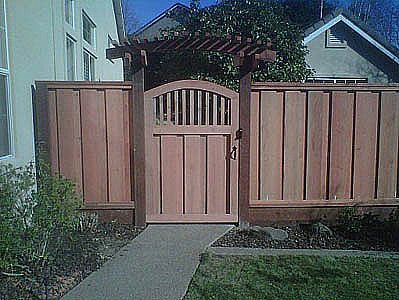 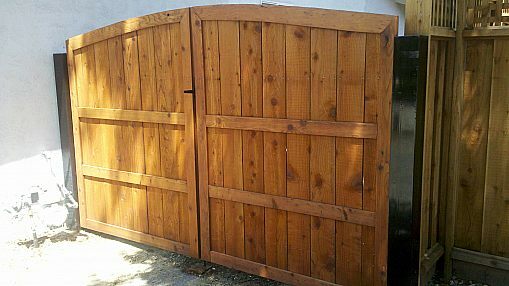 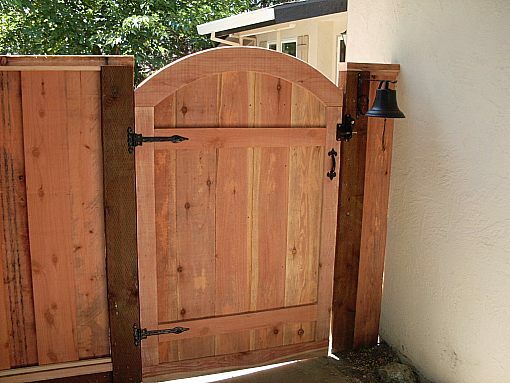 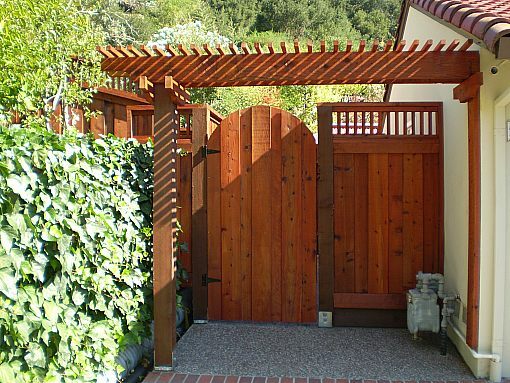 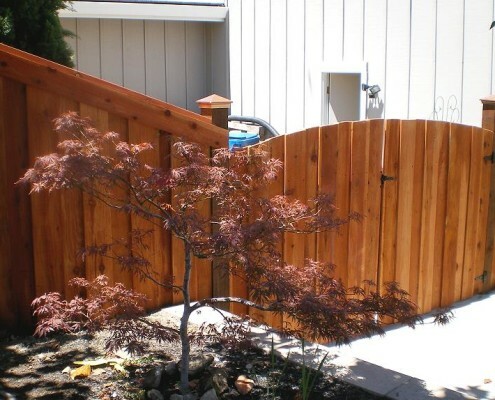 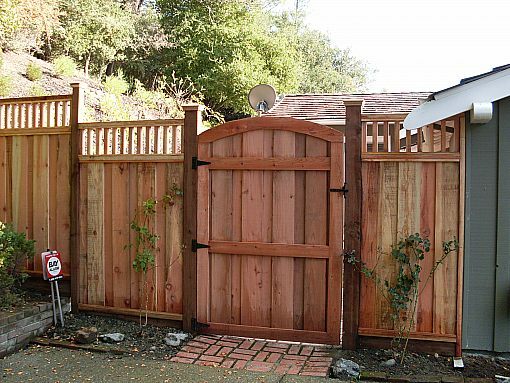 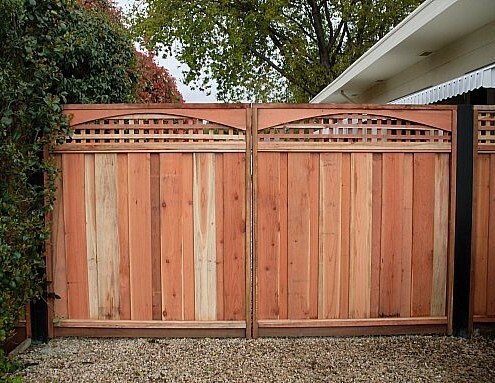 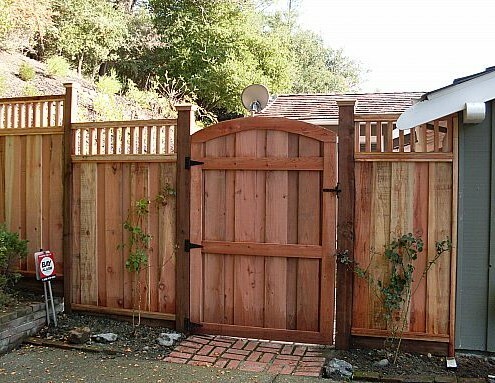 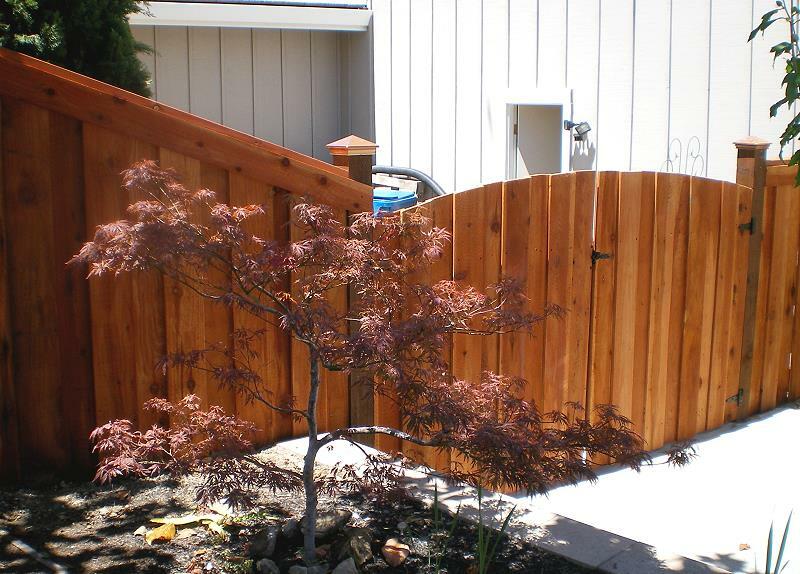 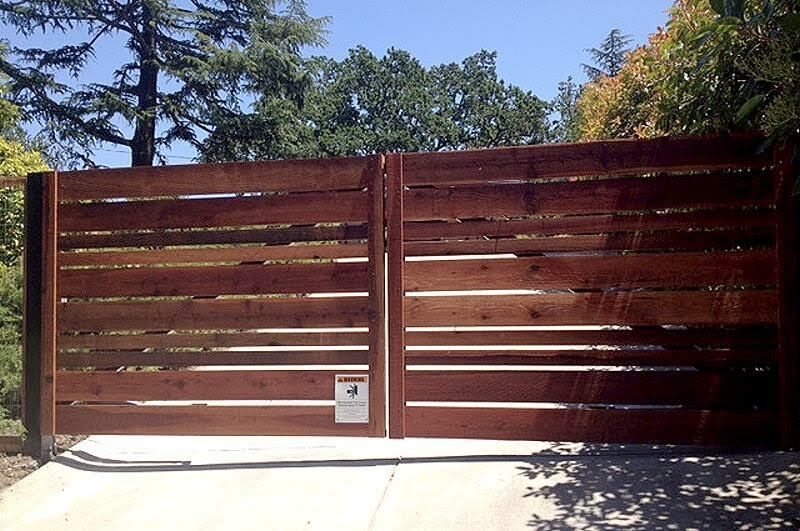 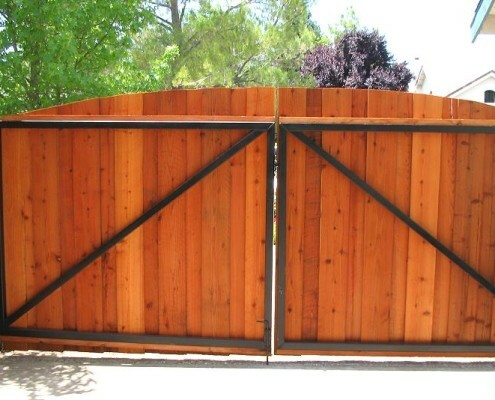 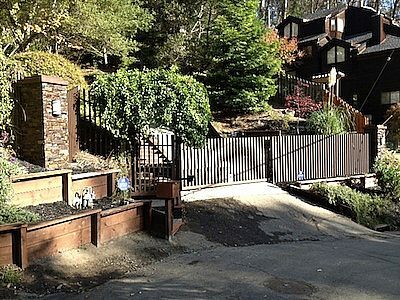 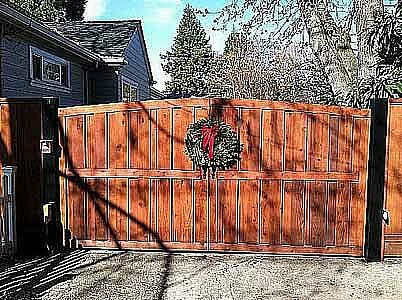 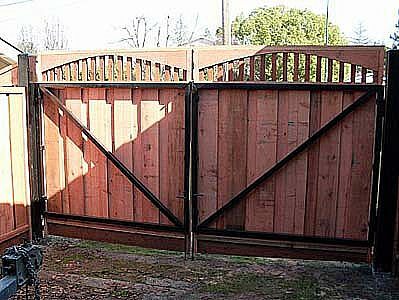 A new custom redwood gate will enhance the beauty of your property and give your home a custom look. 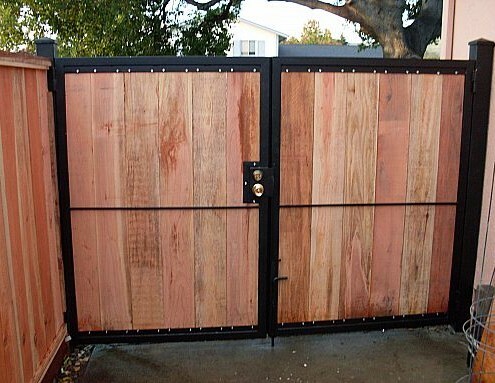 Ask about our custom hardware and locksets! 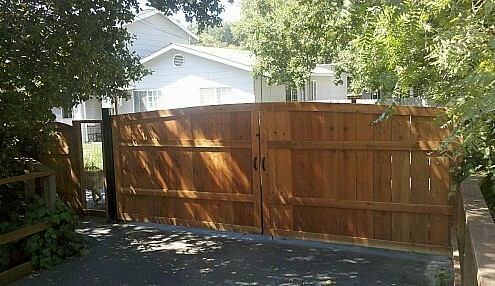 A & J can custom build any gate to fit your needs and budget. 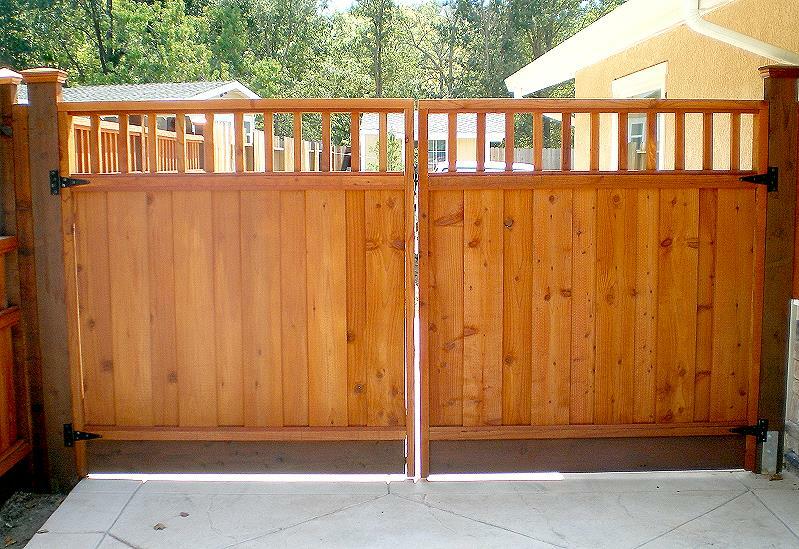 A & J Fencing builds only the finest double swing gates around. 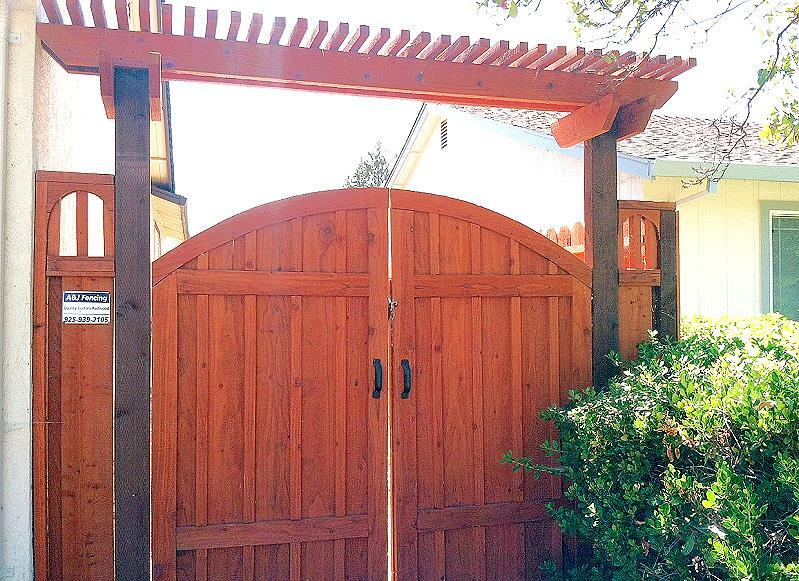 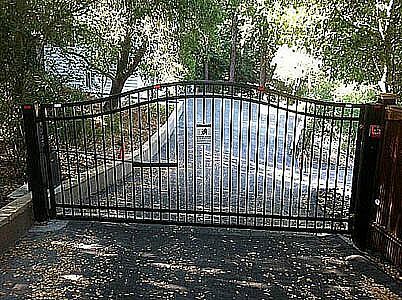 Customize your gate with arch, framed arch, piano key, or any custom lattice. 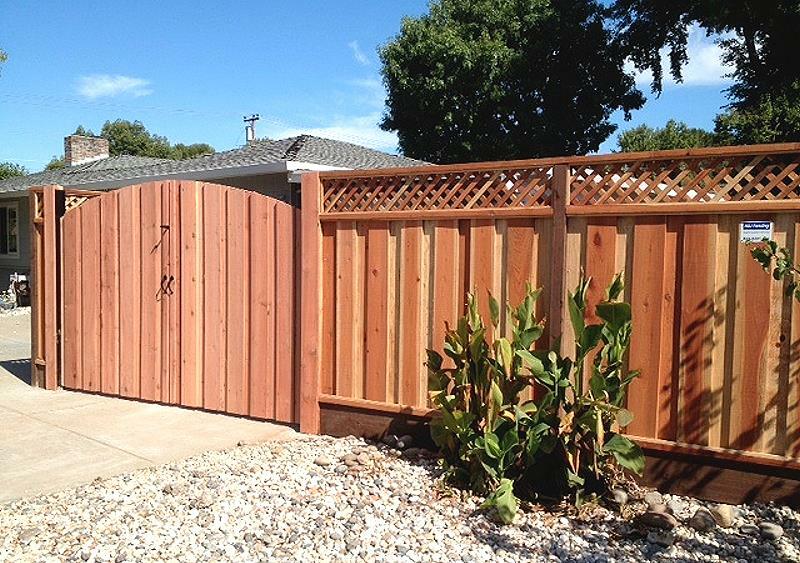 We will build it to your specifications and custom tailor the details. Great for side yard access and storage. 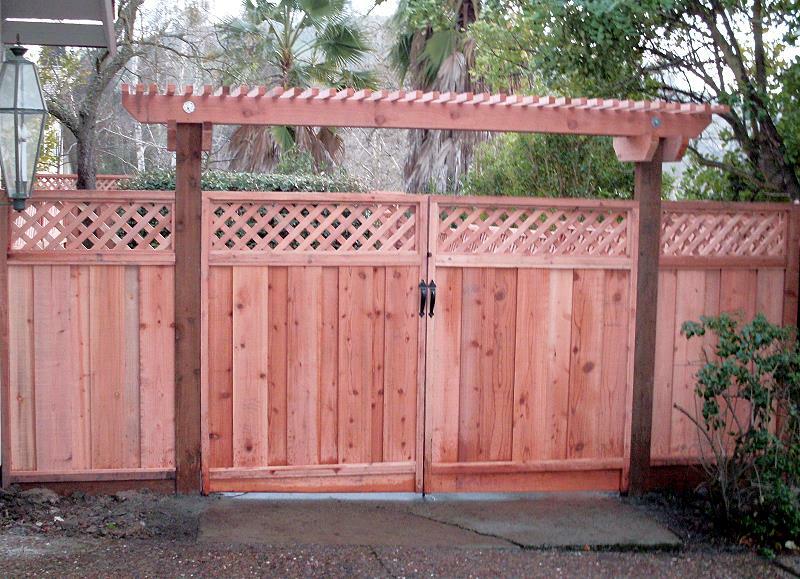 Available in all styles and grades of redwood. 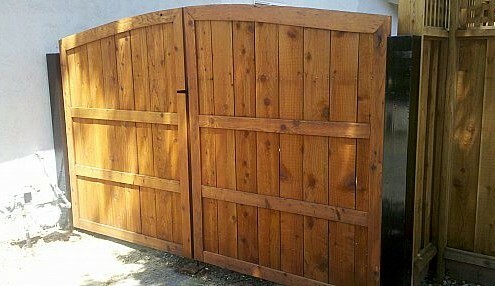 “Bomber” is a term used to describe something strong and bullet proof. 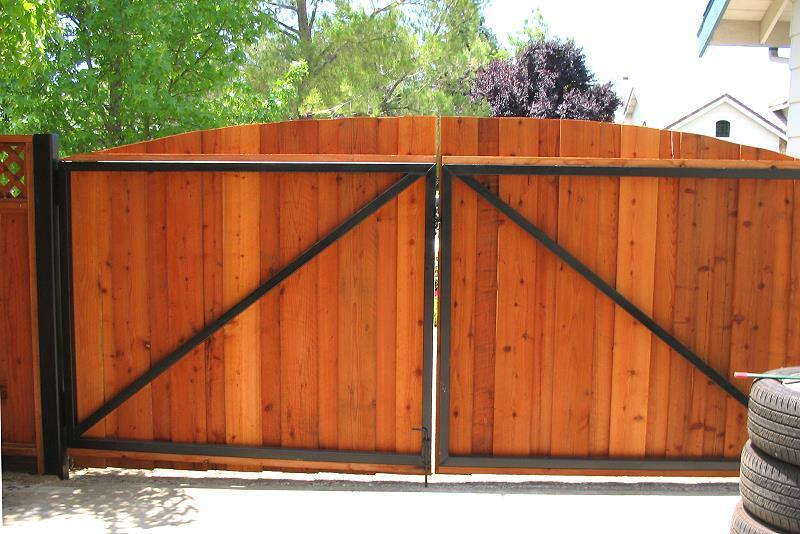 Our steel frame gate set ups are “Bomber”. 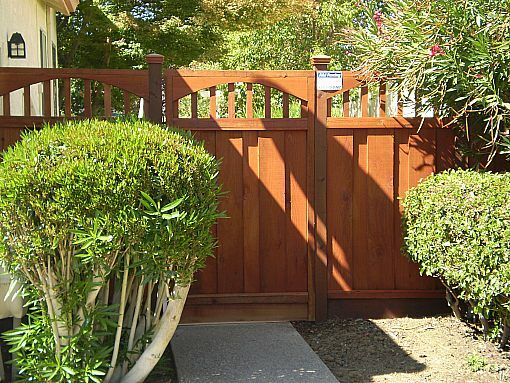 If you have a side yard double gate and move things in and out frequently, a steel frame is a must have. 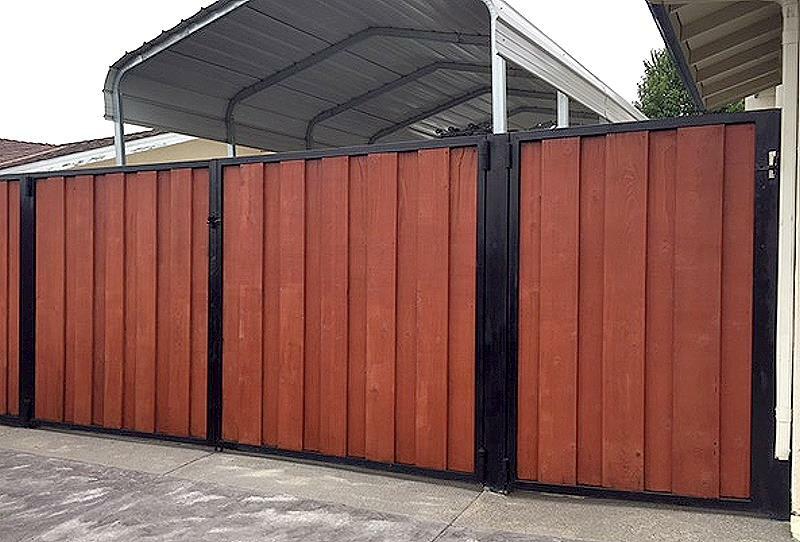 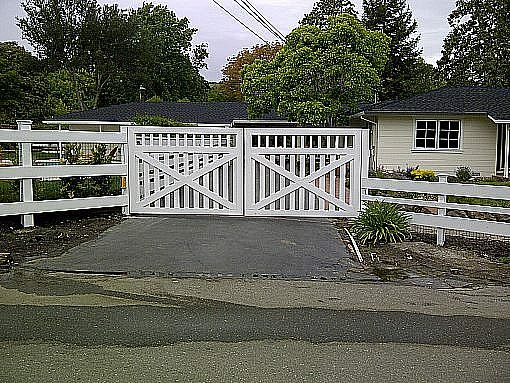 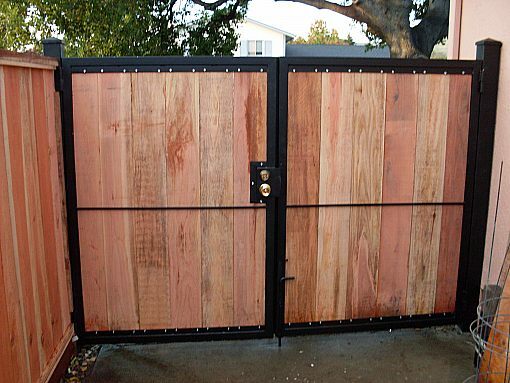 A favorite of the “weekend warrior” these all custom welded steel framed gates are bullet proof and ready for action. 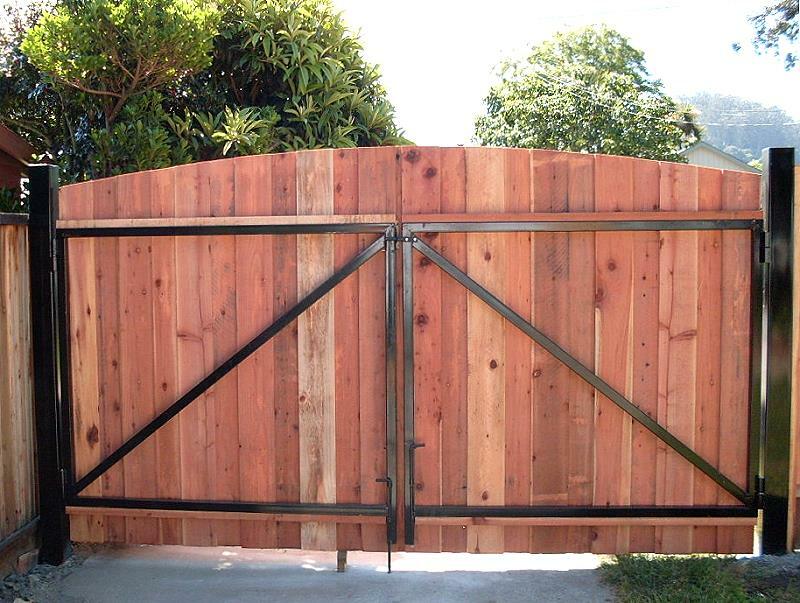 Whether you have a boat, RV, or trailer our steel frame gates are what you need for easy, stable, and reliable access. 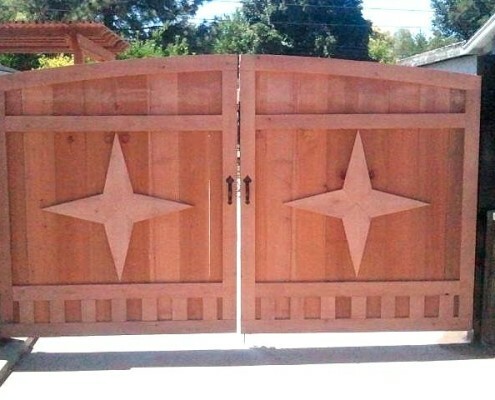 A & J Fencing customizes and designs the highest quality entry gate systems We have our own fabrication facility, where we can create any design to fit your home decore.